Hooray, it’s finally December and therefore ok for me to get ridiculously over-excited about Christmas! But before we can have a run-down of the top festive books and films to watch over the holiday season, there’s November to look back over first. So here it is… my November book haul! • Vile Bodies (Evelyn Waugh) – This was brilliant; admittedly, I do love Waugh’s books anyway, so clearly his style of writing just appeals to me, but I think most readers would enjoy this. The ironic, satirical tone is right up my alley, and since I like the roaring twenties and thirties anyway, a novel set in this lost era of “bright young things”, flappers, money lost and won, parties and drink, engagements broken and made up again and gossip columnists hurriedly vastly exaggerating it all for the newspapers. Although focusing around the love story of Adam Fenwick-Symes, a destitute young would-be writer, and Nina Blount, daughter of an extremely eccentric aristocrat, the novel is really about “the social whirl of a class doomed to extinction as certainly as the dodo”. As it progresses, darker and more depressing events occur which give the entertaining witty writing a sinister undertone, emphasising not only the pathetic fragility of most of the characters, and their lives, but also a sense of a generation dealing with the aftermath of the Great War, with the tragic losses of World War Two just over the horizon. Basically, the best of both worlds: a book with some sort of meaning underneath it all yet also fun, easy and enjoyable to read. • The Pilgrim’s Progress (John Bunyan) – A somewhat abrupt change here, going back around three hundred years, and on a much more allegoric and religious theme. I knew the story of this beforehand, having read Enid Blyton’s version ‘The Land of Far-Beyond’ and listened to Stephen Tompkinson read Geraldine McCaughren’s excellent retelling on audiobook. However, I’m not sure that this wasn’t a mistake, in that I simply felt the retelling was so much more exciting than the real thing. At first I thought this was mainly because I already knew the story, but actually the second part, telling the tale of Christian’s wife, Christiana (wow, original naming there Bunyan! ), was equally as dry. Although I see why it is so important to the history of English literature in its use of allegory and language, not the most entertaining book I’ve ever read, although not without merit; some sections are a little gripping, and the idea behind it is very clever. 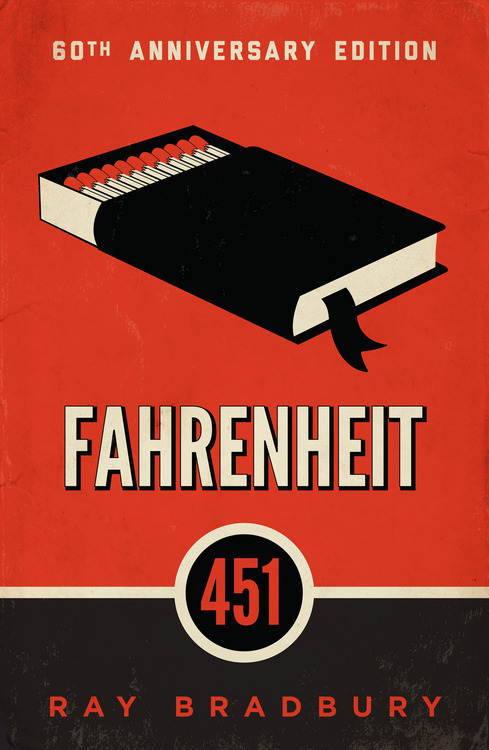 • Fahrenheit 451 (Ray Bradbury) – Infinitely more riveting, Bradbury’s dystopian novel is ever-popular with teenagers and adults alike, with its premise of firemen there to burn books, which are now contraband, rather than put out fires. Following on from Heinrich Heine’s famous quote: “Where they have burned books, they will end in burning human beings”, Bradbury doesn’t wait to reveal the benefits of this society, instead delving almost instantly into the dark, sinister undertones of a culture, not so dissimilar to our own, unlike ‘1984’ or ‘Brave New World’, whose worlds, whilst identifiable with, seem to occur years in the distant future. With incredible foresight, considering the novel was written in the early 1950s, Bradbury predicts the idea of portable sound devices (iPods to you and me, Seashells to the protagonist Guy Montag and his wife Mildred), huge wall-sized TVs, and reality shows where the audience are gripped by live police chases (um, this anyone?!). A gripping and easy to read novel with some big ideas, I especially loved Clarisse McClellan, and, of course, all the sections praising the power of literature and words in general. I also thought Captain Beatty, leader of Montag’s fire station, was particularly interesting, and can be compared to Mustapha Mond of Huxley’s ‘Brave New World’ (which you can find a review of here), in that they both seem incredibly logical in their argument; so persuasive are they, that, like the characters they speak to, they almost convince the reader of the sanity of this new world order, until one suddenly remembers the sinister side of what they stand for. A book which I think almost anyone would enjoy; a thriller which celebrates literature and reading and warns of the consequences of its demise. 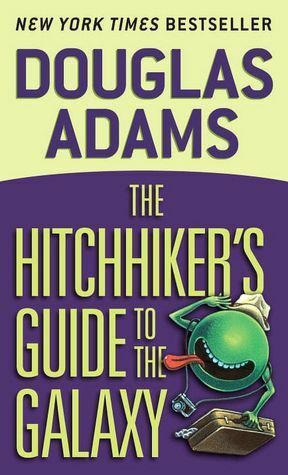 • The Hitchhiker’s Guide to the Galaxy (Douglas Adams) – This is another classic late twentieth century novel that, according to tumblr anyway, you actually have to read. It’s also another book I regret having seen an adaptation of first. Having said that, the film, starring Martin Freeman, Zooey Deschanel, Mos Def, Sam Rockwell, Alan Rickman, Bill Nighy, Stephen Fry, and John Malkovich among others, is completely amazing. Seriously. If you’ve read the book already, definitely give the film a go. However, I think much of the witty and downright crazy writing didn’t have its full impact on me, as I’d seen lots of the most hilarious bits portrayed in the movie beforehand. If you haven’t read the book or seen the film, you should. Adams has a genius mind for just crazy and brilliantly funny ideas. His books remind me a little of those of Jasper Fforde, which I have raved about before on here. If you have a silly sense of humour, you’ll enjoy the Hitchhiker books. If not… my commiserations. • Neither Here Nor There (Bill Bryson) – Talking of funny, this book is absolutely laugh-out-loud, chuckling-to-yourself on the tube hilarious. Bryson’s wit and sarcasm is shown beautifully here, as he writes of touring through Europe, both as a spotty teenager and as a fully-fledged adult. It is brilliantly written, with lovely and detailed descriptions of both small and big towns throughout Europe, painting vivid pictures of the people, the places, the customs and traditions that make a city or town what it is. Bryson combines paragraphs describing with heartfelt sincerity the splendour, magnificence, beauty of a place with inspired and side-splittingly satirical remarks on the less attractive sides. The only reason I didn’t give this book top marks was its lack of moral or meaning; for me, a really great book should make me think a little about myself too. Other than that small niggle, I honestly can’t recommend this book more highly. Absolute quality. • The Unlikely Pilgrimage of Harold Fry (Rachel Joyce) – A relatively recent publication, which garnered a lot of positive press coverage, I felt I should read this after having read ‘The Pilgrim’s Progress’, a book which it is mildly based on. This was a hell of a lot more fun though. Whilst it starts slowly, the story of Harold Fry, a recently retired sixty-five year old who, after hearing an old friend and colleague, Queenie Hennessy, has cancer, somehow finds himself on a pilgrimage walking 627 miles from his home in Devon all the way up to Berwick-upon-Tweed (near/in Scotland I think!) where Queenie is being cared for in a hospice. Whilst the premise is somewhat fantastic (Harold takes no walking shoes, no mobile phone and no supplies at all), the novel is really interesting when we get to read Harold’s reflections on his life as he walks. With the book also following how Maureen, his wife with whom he has an extremely strained, virtually non-existent relationship, deals with the extraordinary situation, their bond is really the crux of the story, and what ties the book together. The people Harold meets are also fascinating, with none being a clear-cut good or evil as in Bunyan’s allegory; they are more similar to the pilgrims of Chaucer’s ‘Canterbury Tales’, another resource Joyce uses. Each has their own back-story, and whilst we aren’t given all the details of most of these, we are provided with brief glimpses into a whole variety of different lives. These, and the gorgeous descriptions of the nature that Harold passes through, were the highlights of the book for me. Well worth a read, this novel steadily grows more gripping as it progresses and, by using the well-worn method of placing an ordinary person in an extraordinary situation, is relatable to all readers. 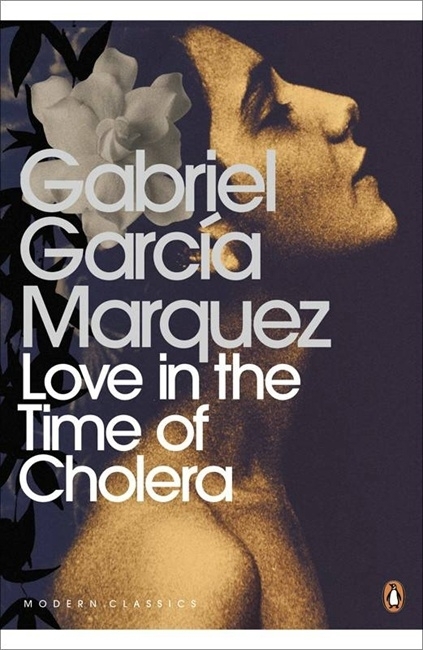 • Love in the Time of Cholera (Gabriel Garcia Marquez) – Some great language, but overall I wasn’t thrilled by this book. I simply could not understand the protagonist, Florentino Ariza, who spends his entire life basically waiting for Fermina Daza, his childhood sweetheart. Just get over her already Florentino! Although this undying love doesn’t stop him having affairs left, right and centre, including one, when he’s about seventy, with a blood relative of fourteen years old. It’s revolting and leaves me with absolutely no sympathy for him whatsoever; although to be honest, he had basically dried all my resources up with his passionate love letter writing, seeming complete incompetence and plain self-centeredness. Nope, can’t be dealing with him. Fermina Daza herself is better, getting on with her life as she does. Still, why does Marquez start the novel with a long, and seemingly pointless prologue which goes into great detail on an event which has very little to do with the rest of the novel? In my opinion, if he’d just stuck to explaining this original story, he would have had a much more interesting book. As you can tell, I’m not this book’s biggest fan, though if you like descriptions of South America, those sections are very well-written. Still, not at all my kind of novel. • Pigeon Pie (Nancy Mitford) – And back again, to another Evelyn Waugh-type “bright young things” novel. And again, I loved it. Telling the story of the somewhat slow but absolutely divinely funny Lady Sophia Garfield during the beginning of WWII, Mitford paints brilliantly witty and satirical over-the-top characters, and sets them into a spy novel, with Lady Sophia desperate to become a BFS (that’s Beautiful Female Spy to you and me). One of my favourite characters is Olga Gogothsky (nee Baby Bagg), Sophia’s greatest enemy, who has suddenly developed a broken Russian accent after marrying Prince Serge – although he speaks in perfect Eton tones. Hmm…maybe you won’t find that funny though; I don’t think I can completely capture the sly humour of Mitford’s writing. Guess you’ll have to read the book yourself then! Everything about this book is a perfect light-hearted, enjoyable read, and I can’t wait to delve into some of Mitford’s more well-known novels like “Love in a Cold Climate” in the near future.